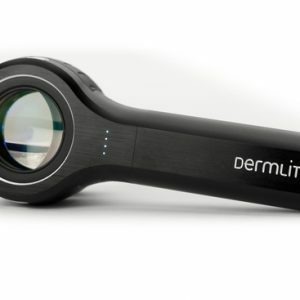 The 3Gen Dermlite DL1 is the smallest dermatoscope in the world! 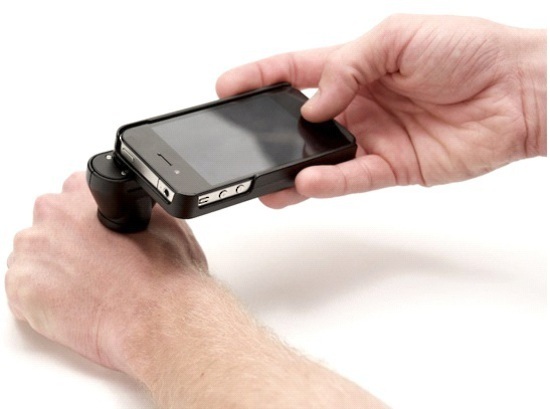 This device can be used by itself or easily clips on your smartphone or iPad. The DL1 is supplied with your choice of iPhone, Samsung Galaxy S or iPad case with the new MagnettiConnect attached to it. 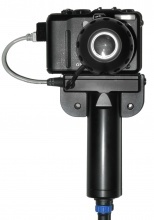 The DL1 simply attached by magnet and utilizes the devices camera to take superb photos of a lesion quickly. The Aluminium design is sleek and small and is supplied with a USB cable to charge the on board lithium ion battery. 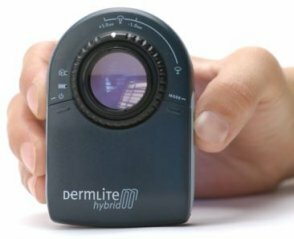 Supplied with both polarised and non-polarised spacers, the device covers all requirements of Dermoscopy.